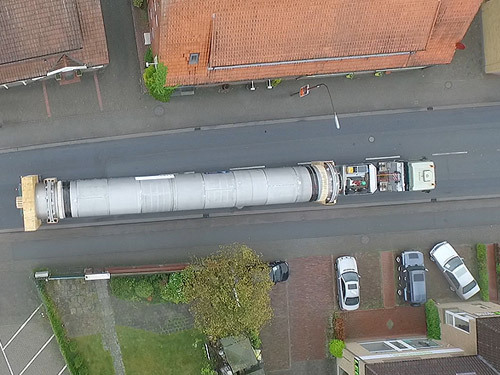 The rotary dryers and all their fittings, roller bearings, heating tunnels and other attachments had a total weight of approximately 150 tons per dryer. 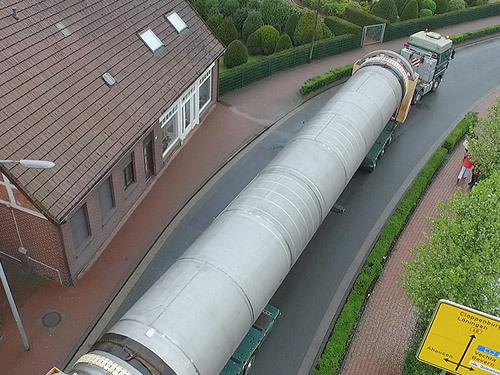 With a diameter of approximately 2.9 m, and a length of approximately 26.0 m, the drum body was manufactured from special steel, material number 1.4841. 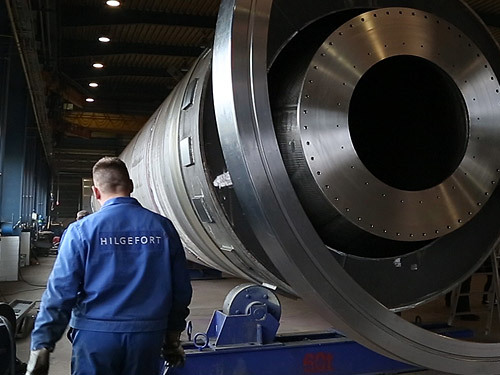 The scope of supply for the rotary dryer included all fittings, such as the races and the rim gear, as well as the complete support roller stations. 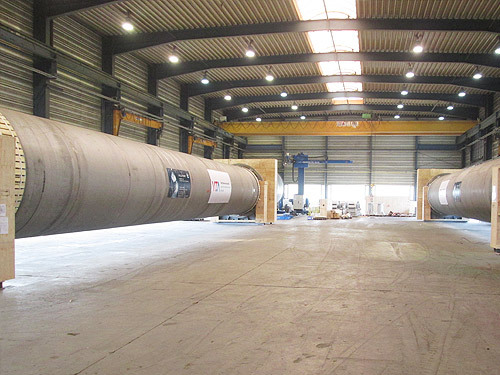 The housing of the heating tunnel for indirect heating and the base frame for receiving the entire rotary kiln together with the bearings and the heating tunnel completed the scope of supply. 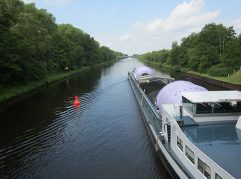 Taking the full scope of supply into account, the sectional coolers had a total weight of approximately 64 tons each. 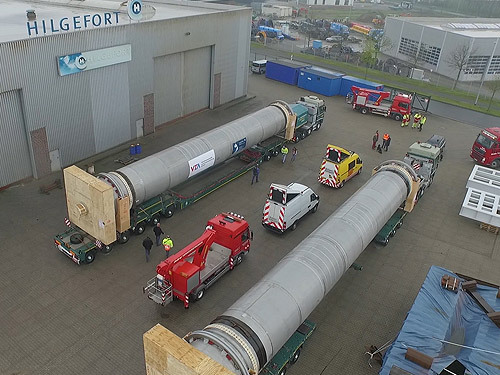 They measured approximately 16.0 m in length, with a diameter of approximately 1.72 m and were largely manufactured from S355 NL. 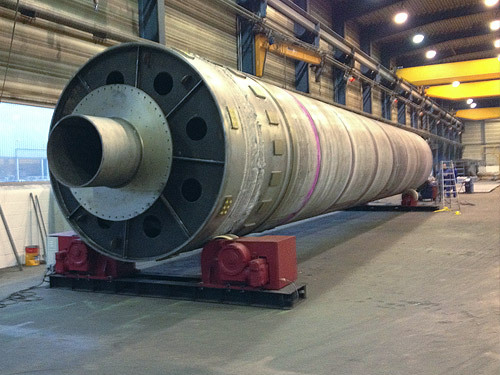 As with the rotary dryers, all the fittings and the associated support roller stations were included in the scope of supply. 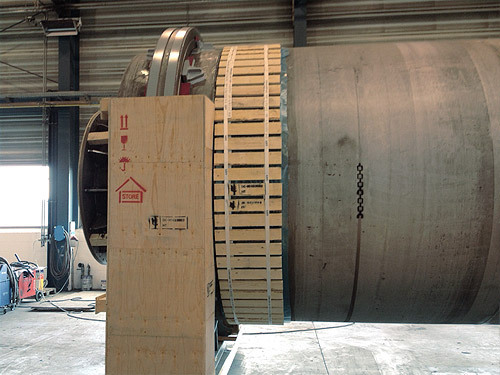 The scale seals and discharge housing for the sectional coolers were likewise included in the scope of supply. 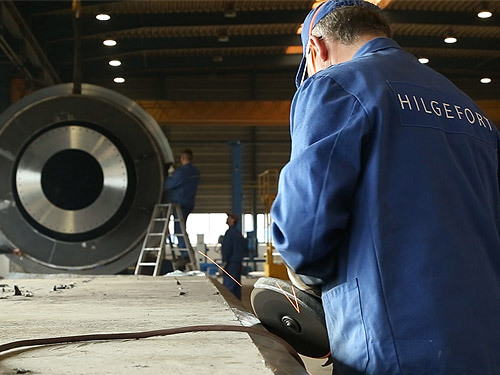 The concentricity and all relevant functional dimensions of the rotary dryers and sectional coolers were checked in the presence of a customer representative. 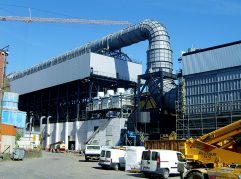 Owing to the low temperatures at the installation site, all materials used had to provide evidence of impact strength of at least 27 joules at -40 °C. 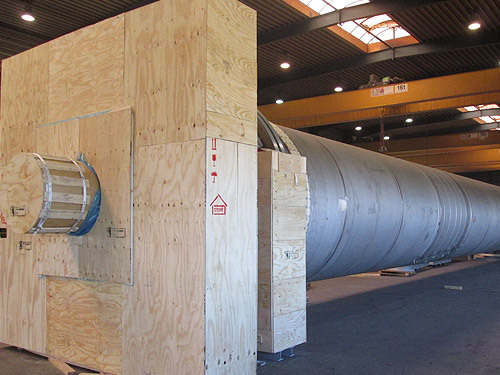 Following successful workshop acceptance, the components – where possible – were packed into boxes. The packaging was designed to ensure safe storage for 24 months. 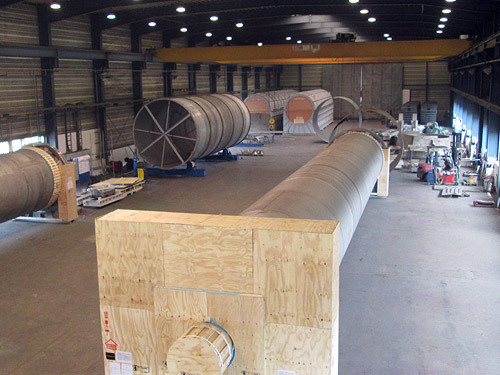 The large components such as the rotary kilns, sectional coolers, heating tunnels and base frame were not packaged up. 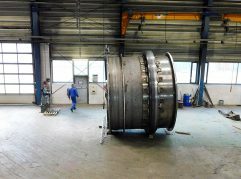 For these assemblies, components such as races, rim gears and mechanically machined surfaces were afforded special protection. The order was completed in approximately 24 working weeks.